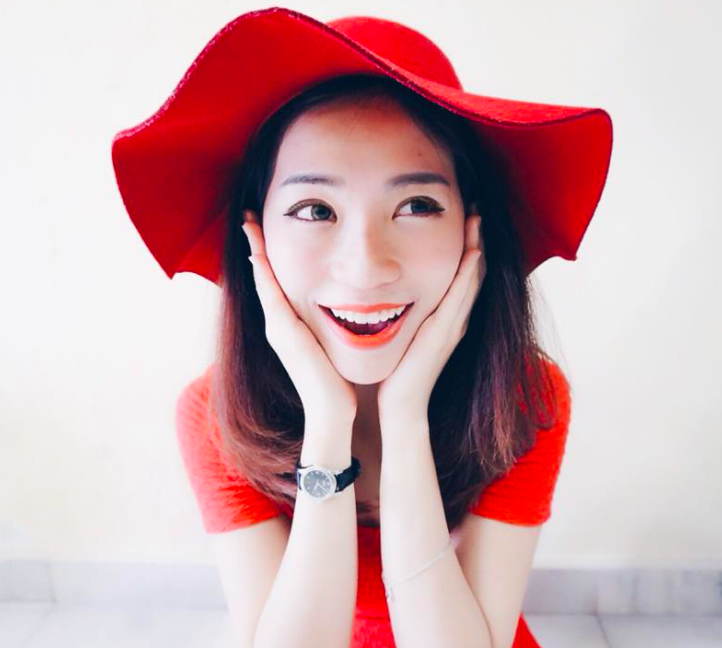 Karen Kho: Does Lifting Weight makes Women Bulky? Does Lifting Weight makes Women Bulky? I guess this is what a girl concern about....."Does Lifting Weight makes Women Bulky"
This is what happened to me in real life. I was in the gym with few of my friends, some of them are quite experienced in workout. 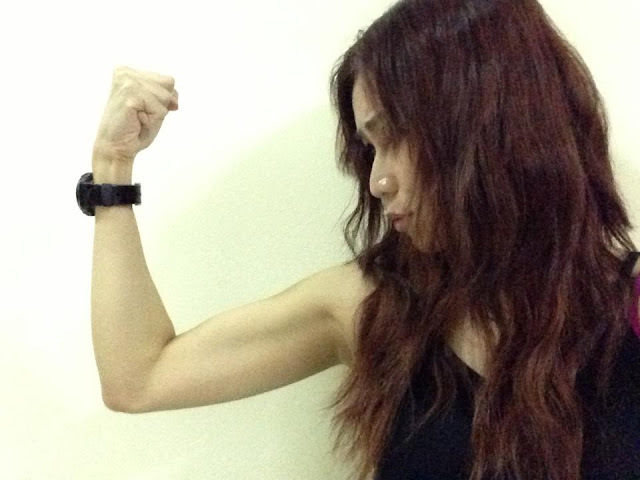 And when I told them that I don't wanna become that kinda muscular people, is ugly to put on my body! After that my friend simply answered, "You think GROWING muscle that BIG is that easy?! Go pick any professional gym trainer, see what are they gonna tell you!" The answer is it takes a lot of heavy weight, real heavy lifting, different kinda of nutrition, lots of rest, and unimaginable of patience to grow maybe just 1inch of muscle. It is very very hard! Or even some took steroids or drugs, they still have to work super hard to grow their muscles. 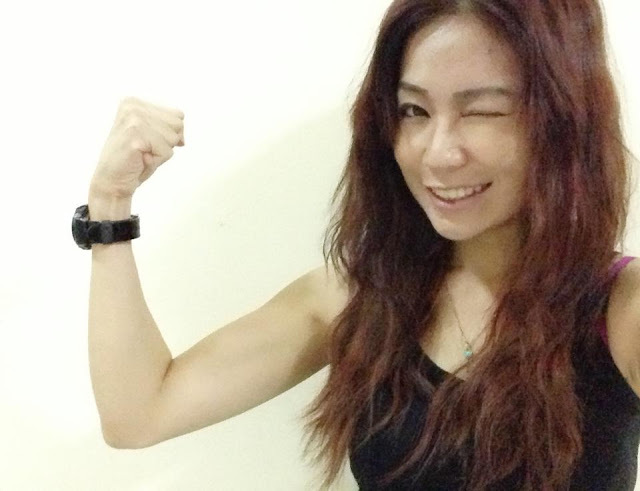 I think Asian are not that common in women's body builder, so is Luckily for us, LADIES. Although cardio is the best way to burn away the layer of fats in your body, by doing high intensity or weighted workout actually can help to burn even more fats too. When we lift weights, we are actually stressing out muscle tissues and pump our blood to that body part. Apparently our body part will heat up even more and last longer. In other words, it means its gonna have AFTER BURN effects. For an example, if you simply walk on a treadmill about 3-5 speed for 15 mins, you might get to burn around 120 kcal only, you can feel that your heart might pump a little bit faster and you might get 50-70 kcal after burn which mean around 200kcal you've burned. But, if you jog or run with speed 8-10 for 15mins, you can burn minimun around 250kcal and additional of after burn for another 250kcal!!! It's around 500kcal just for this cardio. YOU check out my first beginner workout HERE to help you to warm up your body. Btw, I'm preparing my Second workout post. Hehehe u work out too? Hahaha, hopefully it's not something bad? Namo Amitabha, actually two women on the left of the picture lift weight too much, have much muscle and burn too much fat therefore they look much more than like a bodybuilder. 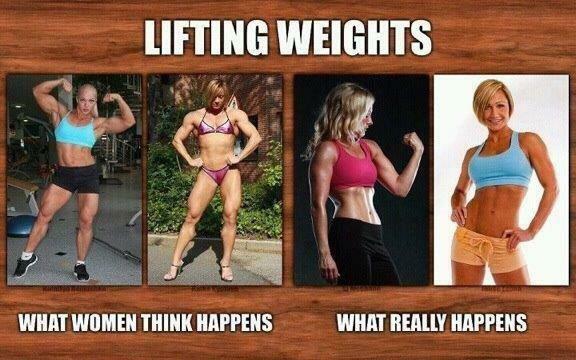 Two women on the right lift weight moderately, have muscle and tone their body. You don't need to worry about lifting too much weight. LOL, maybe you prefer skinny one. What if I wanna Bulk up as a guy? ?